Reap the benefits of probiotics like those found in yogurt. 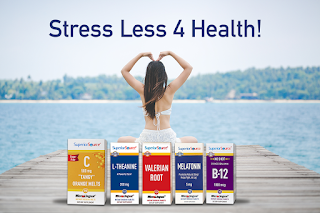 A recent study showed that children who received enough probiotics daily throughout the cold and flu season had a significant reduction in the number of illnesses they had and, when they did get sick, the symptoms were both milder and didn't last as long. 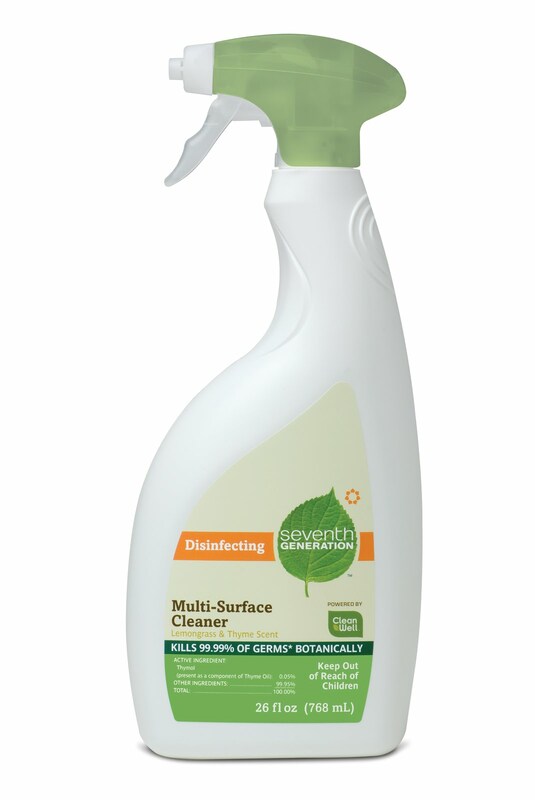 *Refer to disinfecting product labels for full details. I was excited to try out these products. I cleaned my bathroom with some of them. I really liked the smell of the multi-surface cleaner and disinfecting wipes. It is lemongrass & thyme. It reminded me of my garden when I grew some thyme. Win it: One lucky reader will win the Seventh Generation "Back to School Kit" which includes everything shown above. Mandatory Entry: YOU MUST DO THIS FIRST or all other entries will be DELETED! Please tell me a way you keep your household clean during the school year. 8. For 5 extra entries blog about this giveaway, linking back to this post. RULES: Giveaway is open to US Residents only. Giveaway ends August 20, 2010 11:59 PM EST. Winner will be chosen via Random.org. 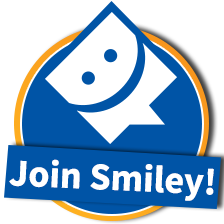 Must have valid email in blog profile or leave email in comments otherwise you will be disqualified. Winner will have 72 hrs. to confirm by email, If no confirmation in that time frame a new winner will be chosen. 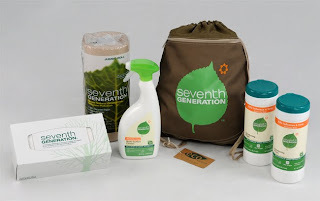 Disclaimer: I received the product, information, and prize packs from Seventh Generation through MyBlogSpark..
During the school year, I keep the house clean by trying to do a little each day and not let it get piled up! I especially try to disinfect more during the school year since there is so much sickness that gets passed around in school! I keep disinfecting wipes in every room of the house. It just helps, that's all. I make sure to do a little at a time. It is much easier to clean up a tiny mess than to fix a full out disaster. During the school year we wash hands a LOT. When kids are in school they bring lots of germs back with them. yuck. I disinfect things like doorknobs,faucets and light switches more often. Whoever invented disinfecting wipes should be given an award. I keep 2 of them in my house. One is in my son's room and the other in bathroom. Seventh Generation sounds really good too. I've been seeing it on other blogs lately. Great review! I'll be checking out My Blog Sparks webpage. I'm actually a more dedicated house cleaner during the school year. I have a certain day of the week that I clean house while the kids are in school. I start near the ceiling and word my way to the floor. Everyone has a task the must complete during the day even if they have to be at school it must be complete before or after school. We use a lot of La's totally awesome because it real cheap. I encourage lots of good old fashinoned handwashing to keep my house clean and family healthy. I try to make them take their shoes off at the door and I keep things pretty clean most of the time. I try to keep them washing their hands and keeping the rooms clean. Every day I use disinfectant on all the door knobs and handles in our house! During the school year, I try to clean a little each day in order to keep the house clean. I like Stay at Home Mom on FB. I like Seventh Generation on FB. I take cleaning wipes to all door handles and light switches all the time. I try to keep up with the housework the mornings that my toddler is in preschool. Otherwise I clean when both kids go to bed! I like Seventh Gen on Facebook. I follow Seventh Gen on Twitter. During the school year I make rounds every morning cleaning every door and handle in the house. I keep my house clean during the summer by keeping a storage tote in the living room. At the end of the day, everything out of place goes in it and is processed the next morning (or that night) to avoide clutter build up. I keep the houseclean by using a schedule: I do laundry on tues and sat. Bathrooms on Fri. Kitchen is daily and so forth. We use Lysol and Germ X frequently! Every Friday is cleaning day in our house. 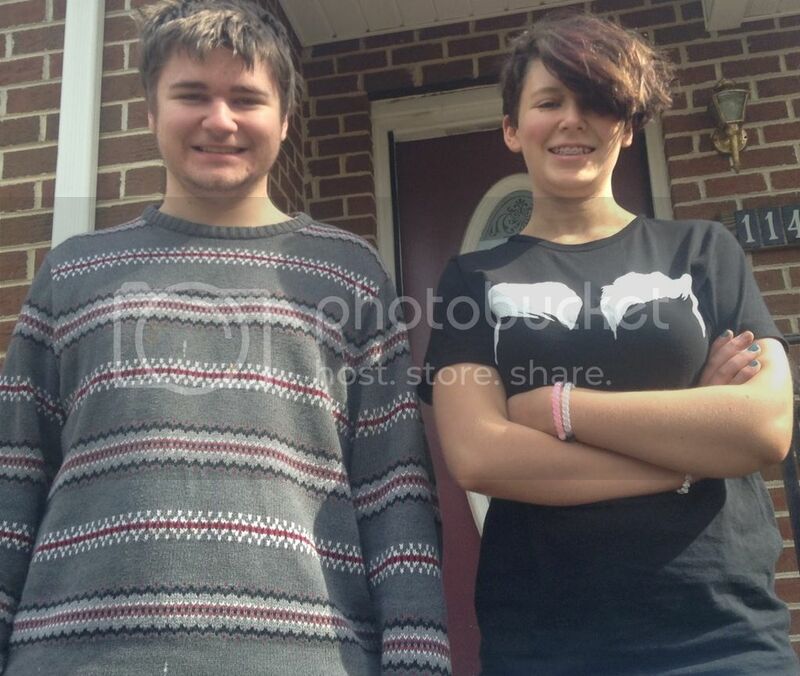 Afterschool we clean up most of hte house that way we can enjoy the weekend and not have to worry about it! We take our shoes off at the front door. I keep my house clean during the school year by using CLOROX bleach to sanitize and I'm a huge fan of Lysol! I clean extra in the fall to spring such as doorknobs during flu season and counter tops daily. The bathroom counters, toilets and doorknobs get special attention as well during the school season. I google friend connect you. We clean a little bit every day so that it doesn't become a big problem. I clean a room a day so that eventually it all gets done. I make them clean it when they get home from school. All major family areas get cleaned daily (kitchen & bathroom), other areas get cleaned about once or twice a week. I have everyone wash their hands when they get home and before they eat. I keep clean by picking up for 15 minutes before I go to bed at night. I keep my house clean and I use spray disinfectant in almost every room. Vacuuming is key to a clean household! I am an enthusiastic aficionado of sanitizing wipes. I keep a canister in the bathroom, the family room, and the kitchen. I use rags and all-purpose cleaner for most tasks, but once a day, I remind myself to quickly swipe down any and all germ-magnets. The wipes leave me NO EXCUSES to put it off. It's good for my family, and also keeps me healthy so I can continue to take care of them! I disinfect all the doorknobs and lightswitches. Wiping the handles down and dont wear shoes inside the house, they can have all kinds of germs picked up from everywhere, yuck! I always make sure I have tissue and wet wipes to wipe up messes quickly. 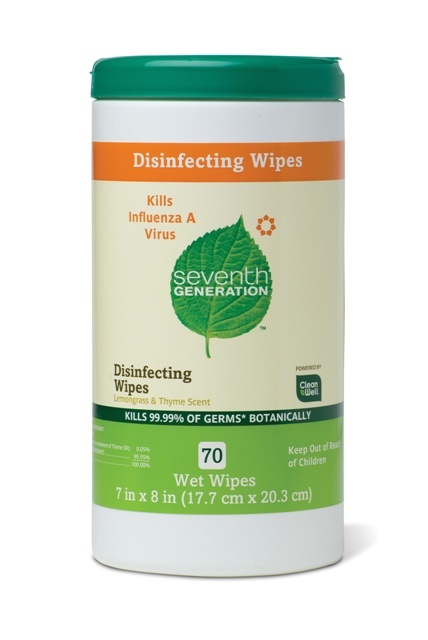 We use lots of disinfecting wipes and hand sanitizers. I always use disinfecting spray and wipes. However, I make sure the children change out of their uniforms when they come home and wash them immediately. This is how I keep the germs away, hopefully! I don't let little messes become big messes. Thanks! I keep my home clean and germ free by cleaning and sanitizing all door handles and the sink areas as well as the toilet handle. Places that are regularly touched by family members. I am a public gfc. I follow by network blogs. I LIKE you on facebook. I'm victoria lester on facebook. I LIKE Seventh Generation on facebook. I"m victoria lester on fb. Thanks for the giveaway...keeping the house "clean" during the school year (actually, the entire year) involves two rules in our home: shoes off at the door, and washing of hands first thing after taking off shoes ! We don't wear shoes in the house, so that cuts down cleaning the floors a lot. Also, I wipe down the counter tops before I go to bed so that I don't have to do them in the morning.